It's too bad that one of the best cards of the year will be remembered for what happened after the event and not for the amazing fights that took place within it. By this point, you've probably already seen what happened following the main event of UFC 229. 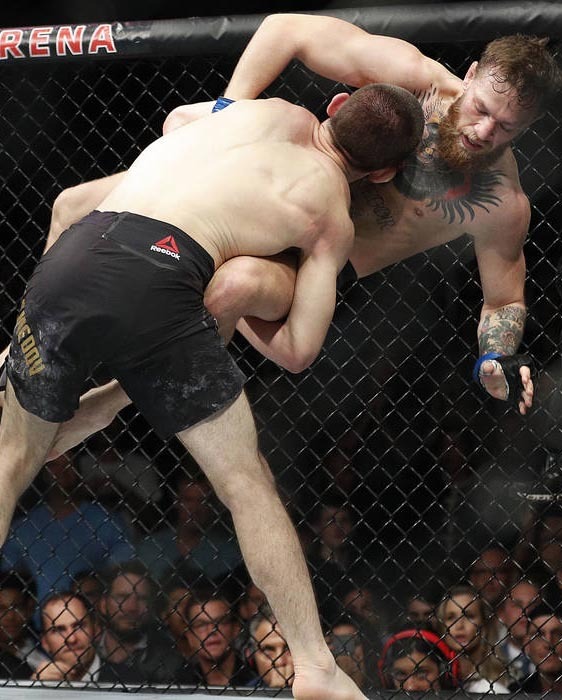 After tapping out Conor McGregor to defend the UFC Lightweight Championship, Khabib Nurmagomedov jumped over the Octagon fence and attacked McGregor's camp, leading to an epic brawl between his and McGregor's camp that cast a black eye on the sport. It was awful to watch happen, and unfortunately what happened will overshadow the amazing performances that many of the fighters put on Saturday night. It goes without saying that Nurmagomedov had an incredible showing against McGregor. Not only did he dominate the Irishman with his grappling, as expected, but he also beat him to the punch in the standup, literally, as he became one of the few men to actually rock McGregor with a punch in his MMA career. It was the best performance of Nurmagomedov's MMA career on the biggest stage, and it's really unfortunate he had to be an idiot and jump over the fence, which could potentially see him lose his belt once the Nevada Athletic Commission looks into the incident. For now though, he's the undisputed champ, and it's a shame everyone is talking about what he did after the fight and not for his amazing performance during it, though he has no one but himself to blame for that. The co-main event was one of the best fights of the year, as Tony Ferguson and Anthony Pettis traded blows for two full rounds before Pettis' corner stopped the fight due to his broken hand. This bout was deservedly awarded "Fight of the Night," as both men put on a show for the fans for as long as the fight lasted. Ferguson has now won 11 straight fights and has to be next in line for a lightweight title shot, while Pettis showed in defeat that he's still one of the toughest outs in the division. It was an amazing fight, and unfortunately it's already been forgotten by many fans and media because of all the hoopla after the main event, and that's just disappointing. 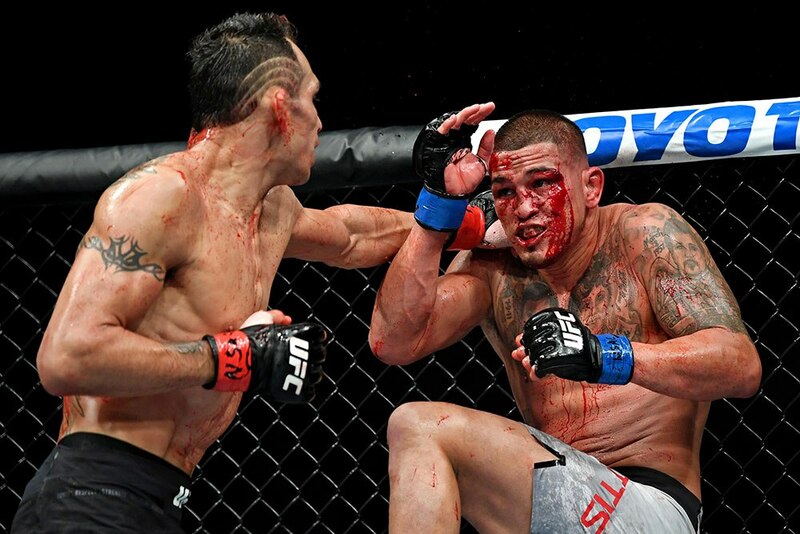 For my money, Ferguson vs. Pettis is the leading candidate for "Fight of the Year" so far in 2018. Elsewhere on the main card, Dominick Reyes announced himself as a legitimate title contender in the light heavyweight division, as he shut out Ovince Saint-Preux for the biggest win of his career to date. Reyes is now a perfect 4-0 in the UFC and he called out Jan Blachowicz in what could potentially be a #1 contender fight. In addition, Derrick Lewis showed once again how incredibly dangerous he is, as he came back in the third round and knocked out Alexander Volkov with just 11 seconds left in the the fight. Lewis has now won three fights in a row, and his poor performance against Francis Ngannou is well in the rear-view mirror after this impressive comeback over Volkov. Not to mention that Lewis cemented himself as the best post-fight interview in the sport with his hilarious back-and-forth with UFC commentator Joe Rogan after the fight. Just a great performance by Lewis overall. There were also a number of standout performances on the undercard that are worth writing about. Jussier Formiga showed he's still a top flyweight with an upset win over a surging Sergio Pettis; Vicente Luque picked up his seventh stoppage win in the UFC with a brutal KO over Jalin Turner; Aspen Ladd announced herself as a top bantamweight with a TKO victory over veteran Tonya Evinger; Scott Holtzman earned the upset of the night with a third-round finish of Alan Patrick; Nik Lentz may have ended Gray Maynard's career with a head kick knockout; and Tony Martin finished Ryan LaFlare with a head kick as well for a much-needed victory. The undercard was full of surprises and amazing performances, but unfortunately will be forgotten about by too many people because of Nurmagomedov's antics. 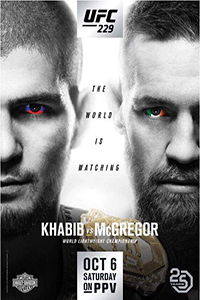 UFC 229 was one of the best cards of the year and was loaded with some spectacular performances that are going to be overshadowed by what happened after the main event, and that's truly unfortunate. 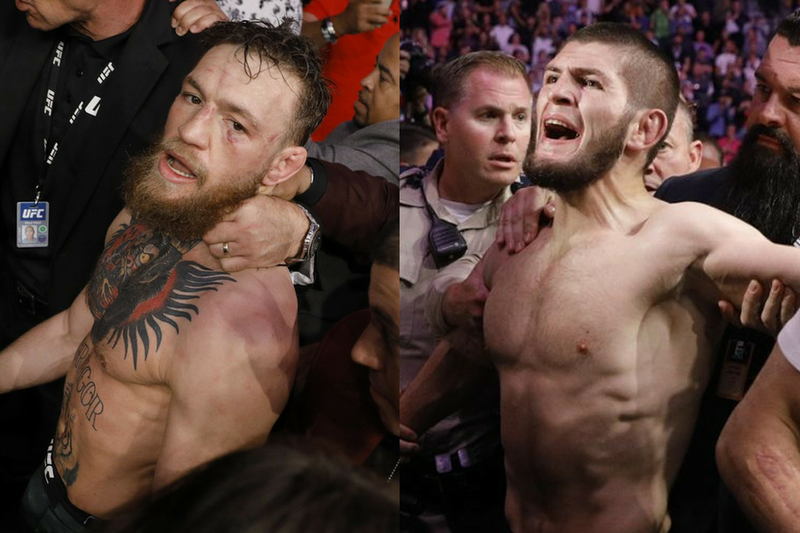 The card was always going to be about Nurmagomedov and McGregor, but there are so many fighters that deserve to have their performances remembered, and hopefully as time goes on we can forget about the post-event brawl and focus on the actual fights instead.